Entertain your guests or prepare a romantic dinner with our Porcini Mushrooms Risotto Recipe box! 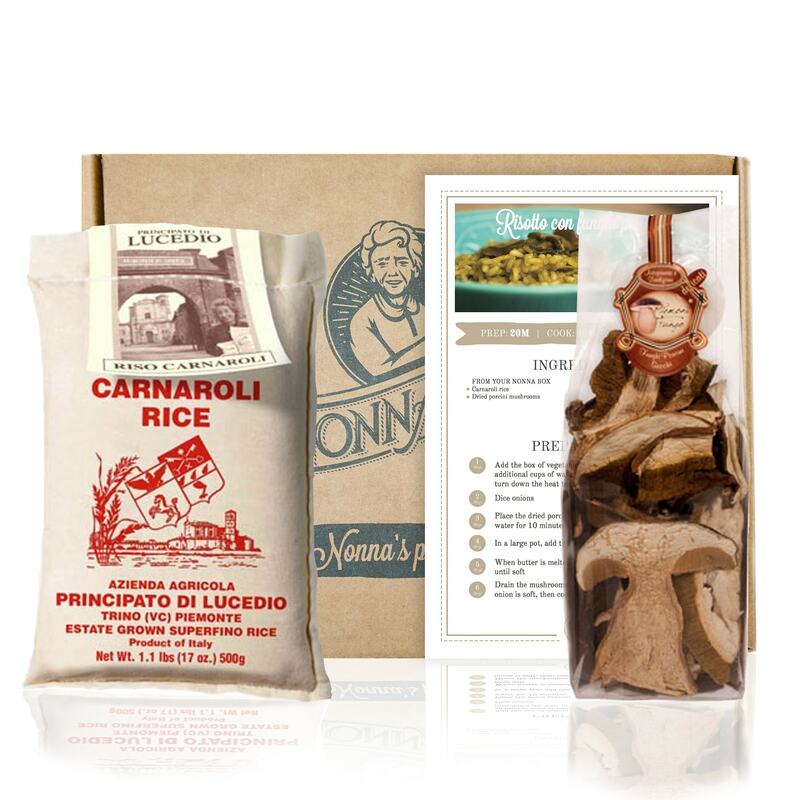 We have included the best type of rice to make risotto: carnaroli rice from Principato di Lucedio, a small artisanal producer from the Piedmont region of Italy; and the most fragrant dried porcini mushrooms, picked from the Piedmont mountains in Italy. The box includes also a 5.5×8.5 cardstock card with the porcini mushrooms risotto recipe by Nonna Maddalena from Cuneo, Piedmont!